Our European-style hotel has provided comfort to travelers since 1937. The antique decor of our 16-room Inn creates a quiet, cozy environment for your comfort. Enjoy casual conversation, games, reading in the parlor or a relaxing dip it the hot tub. Each room has a private bath, phone, cable TV and air conditioning. For breakfast choose from over twenty pastries, tarts, cakes, and rolls. For your entree select an Artichoke Frittata, Broccoli Quiche, Chili Relleno, Italian Frittata, Hungarian Flauf or Diced Ham and Eggs. Of course there is plenty of fruit, juice, coffee and tea. 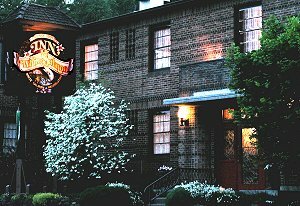 The Bed and Breakfast is located within a short distance of shopping, restaurants, windsurfing, whitewater rafting, skiing and spectacular sightseeing in the Columbia River Gorge National Scenic Area. Reservations for accommodations may canceled with 72-hour notice. Check in is 3:00 pm or later. Check-out is 12:00 noon. This and other White Salmon Bed and Breakfast Inns can be found here in The Register.